The water resistant Enduro Plus is a powerful GNSS locator designed for lone worker, vehicle, pet and asset tracking applications. The thumb sized button makes this device ideal for applications requiring rapid notification of emergency alert or regular setting of geo-fences based on current location. Its built-in GNSS receiver supports GPS and GLONASS and has superior sensitivity and fast time to first fix. 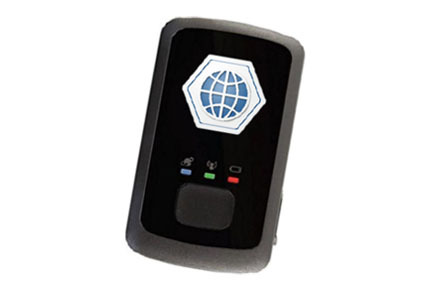 Its quad band GPRS/GSM subsystem supports 850/900/1800/1900 MHz allowing the Enduro Plus' location to be monitored in real time or periodically tracked by a backend server and mobile devices. Its built-in 3-axis accelerometer allows motion detection and extends battery life through sophisticated power management algorithms. System integration is straightforward as complete documentation is provided for the full featured @Track protocol. The @Track protocol supports a wide variety of reports including emergency, geo-fence boundary crossings, low battery and scheduled GNSS position.